Sometimes your plant would struggle with calcium deficiency. Eggshells have rich calcium and multiple minerals that can help to nourish your plants such as tomato or pepper. Crushed eggshell can be used as compost. Or sprinkle eggshells around the plants. You’ll see well-grown plants by the power of nature. To deter slugs, snails, cutworms and other pests, sprinkle broken eggshells in your garden. Also, the smell of eggshells can discourage deer. Small pieces of sharp eggshells are a good tool against soft-bellied pests. You would feel relief in that you don’t need to use artificial pesticides. Keep small amounts of eggshells to put them in drains. Sprinkle some and then run drains. 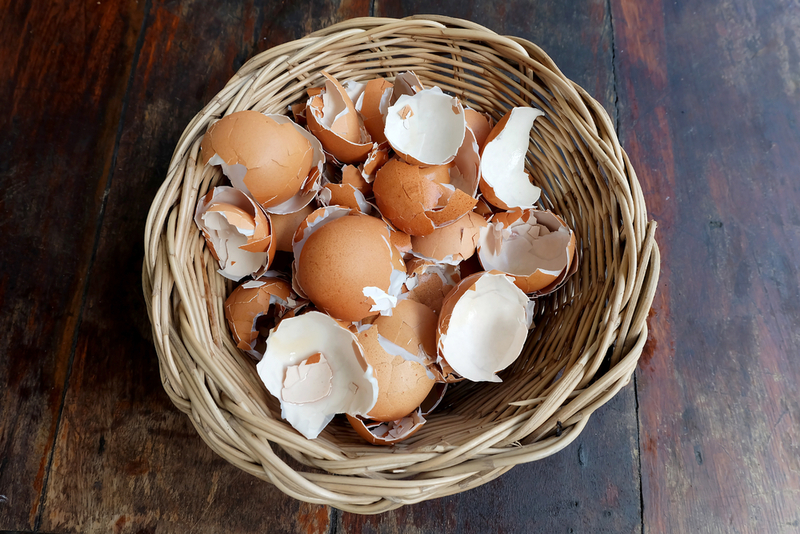 Eggshells could catch food leftover and unpleasant gunk. It helps pipes clean and to kick smells out. If you don’t like a bitter taste of coffee, add some crushed eggshells into coffee ground. This process makes your coffee mellow. Before you brew coffee, put just two to four pieces of eggshells. Shells contain alkaline so that it can neutralize the acidity of bitter coffee. Mix finely crushed eggshells in dish soap you’ve used to remove dirt that can not be washed by dish soap. The eggshell powder is good at cleaning hard-to-reach spot and scrubbing tough-to-clean pots and pans. It becomes abrasive non-toxic cleaner. Start simple planting inside your home or mini garden by using eggshells. Eggshell is a great container to grow plants, especially herb. Fill eggshells with soil and put seeds into it.